Addi’s Faith Foundation has a wide variety of volunteer opportunities throughout the year. We need all the help we can get and we would love to find a good spot for you. If you are interested in joining the AFF Promotion Team and/or learning more, please complete the information below. 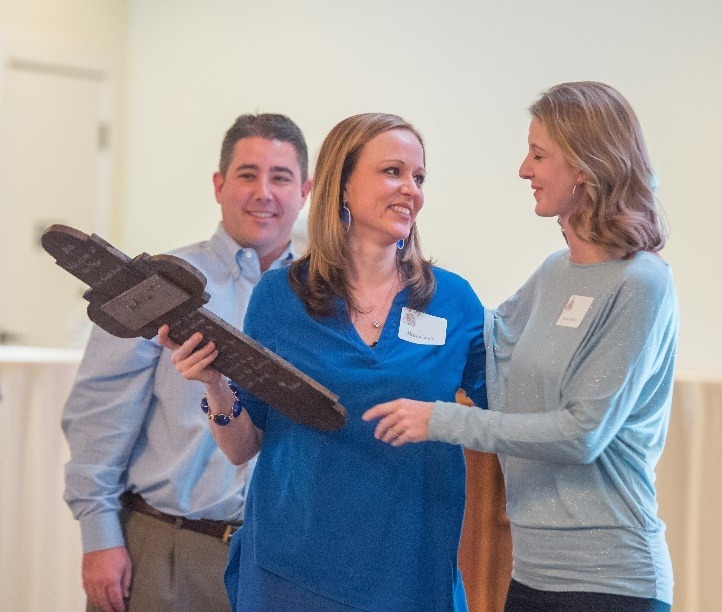 The Volunteer of the Year award is given annually to someone who goes way above and beyond. Someone who is truly the backbone of our organization that we need, trust, and value. 2018 Volunteer of the Year – Michele Cazares has been a part of Addi’s Faith since the beginning and has served in multiple capacities. From serving meals at the Ronald McDonald House, to early morning set-ups at Walk by Faith, to taking care of dinner at Addishack, this woman does it all with a smile on her face. Whenever we find ourselves in need of something, Michele immediately comes to mind. Her beautiful heart and dependability are priceless to us. You will often find her serving alongside her trusty sidekick and 2018 Volunteer of the Year. 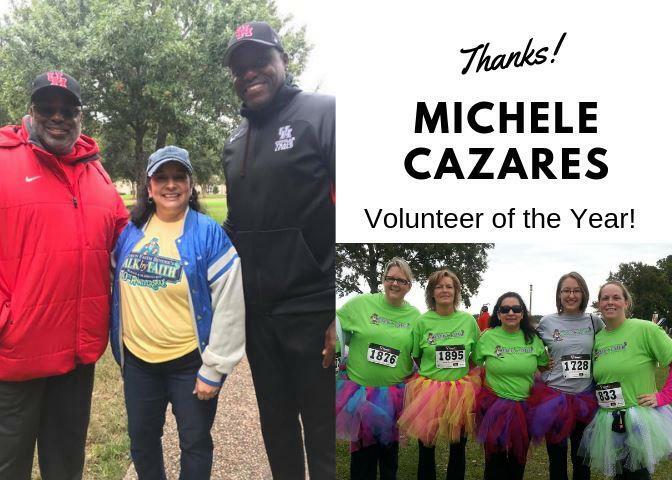 Michele Cazares, we thank you for your dedication and years of service and with a grateful heart we honor you as our 2019 Volunteer of the Year. 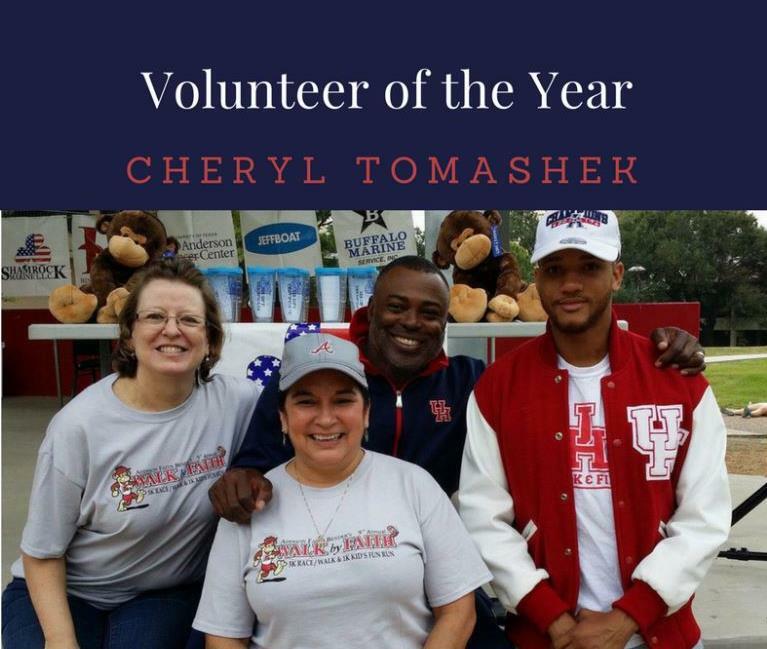 2017 Volunteer of the Year – Cheryl Tomashek has lovingly served alongside AFF from the very beginning to help raise money and awareness for a cause that is close to her heart. Volunteering her time to help others is just a part of who she is, and she has passed this trait down to her children who have both helped with multiple AFF events. She inspires everyone around her with her kindness and enthusiasm and is always ready and willing to lend a helping hand, no matter the task. Cheryl Tomashek, we thank you for your dedication and years of service and with a grateful heart we honor you as our 2017 Volunteer of the Year. 2016 Volunteer of the Year – Melissa Smith is truly a game-changer! She has been with AFF from the very beginning and has committed herself to helping at every major AFF event since. Any time she is asked to help, she does, even if it is inconvenient and she has to rearrange her schedule to make it happen. It would be difficult to even list all the ways she has helped, because she often does things on her own. Never asking for anything in return and never calling attention to her service. Her commitment to the cause runs deep and has spilled over into her sweet children, who also pitch in and help consistently. At the Inaugural Walk by Faith, her children were pushed in a stroller. They no longer need a stroller, but you will most definitely find them at Walk by Faith, often one of the first to arrive helping their mom and dad set up. These kiddos have even gone so far as to fundraise themselves, selling precious handmade artwork to raise money for AFF. Volunteering for AFF is a family affair and each member of the Smith Family contributes in a special way. Melissa, Bryan, Cole, Jett, and Lyla, we thank you for your dedication and years of service and with a grateful heart we honor you as our 2016 Volunteer of the Year.